Many years ago, I coined a phrase called "The Snooze Button Generation" (TM) to describe my generation, or people born somewhere in the 1970s (of course, there can be some overlap with those born in the late '60s and others in the early '80s). I still am a fan of that phrase and believe it perfectly describes my generation. 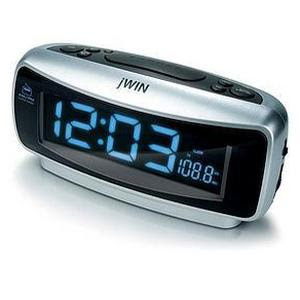 You see, the snooze button on alarm clocks did not become ubiquitously used until my generation. I do not really remember having an alarm clock without a snooze button. Thus, waking up at a certain time for me has always been more of a suggestion. Today, I regularly employ one snooze, and sometimes two, before I rise on a work day. The ramifications of the snooze button go deep. Apathy, selfishness, laziness, sleepiness and/or general confusion became commonplace FOR AN ENTIRE GENERATION. By the way, I don't remember much generation labeling since the "Generation X" talk of the early '90s. I've heard that Generation Y followed that, and now some (actually, few) are even pushing for a Generation Z label. Those alphabetical letters seem lame to me. It's so obvious that I'm a part of the Snooze Button Generation as are my friends and practically everyone I meet close to my age.